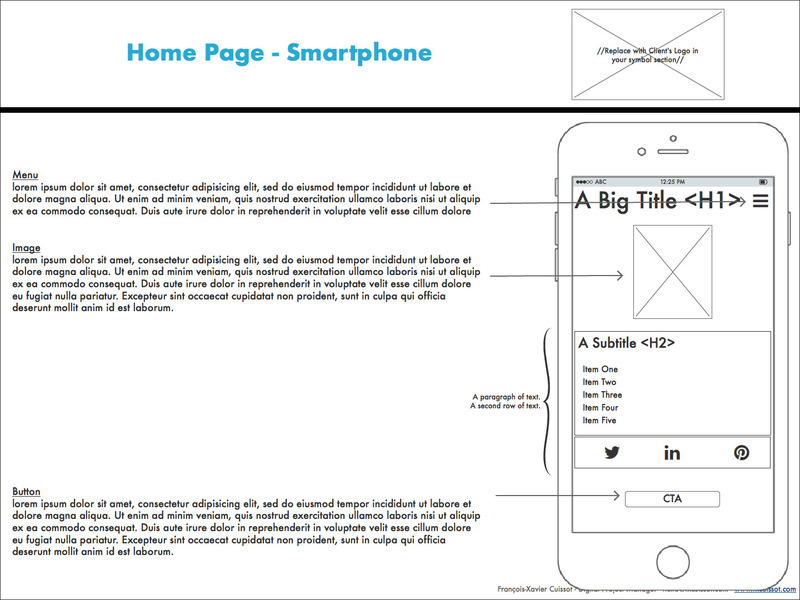 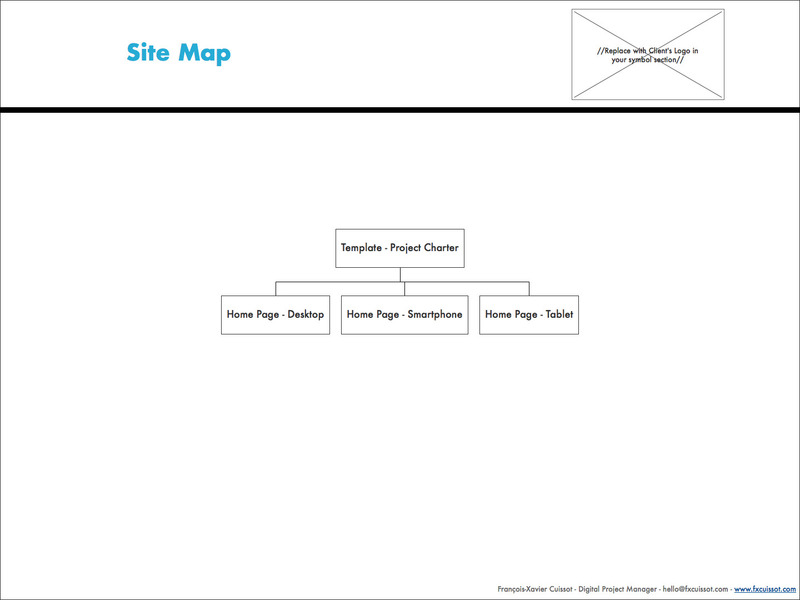 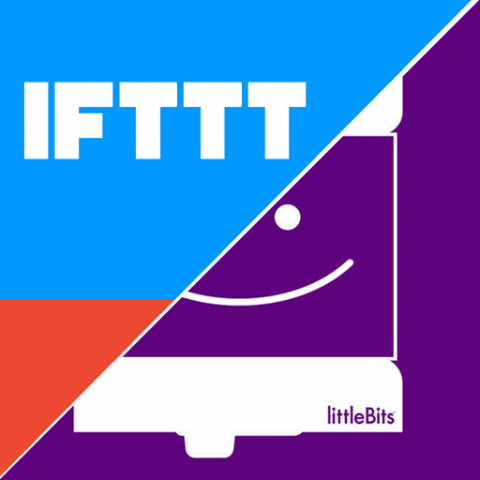 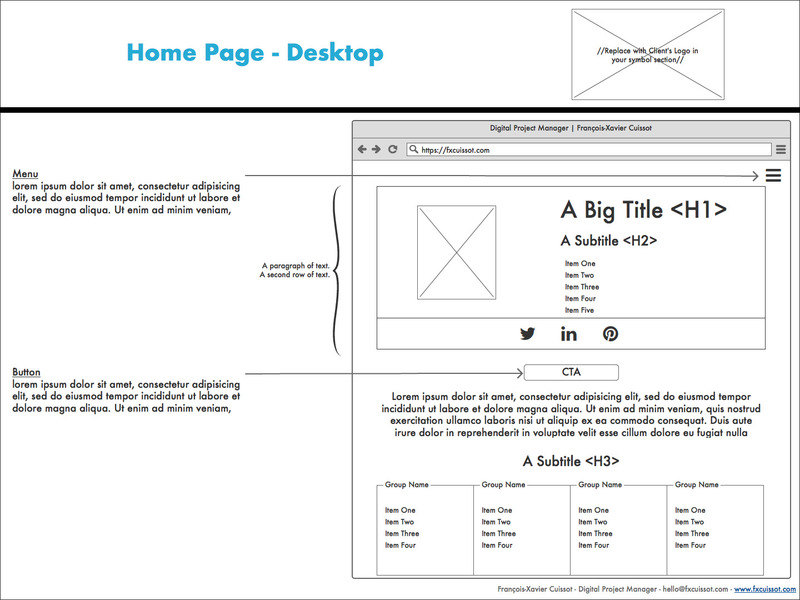 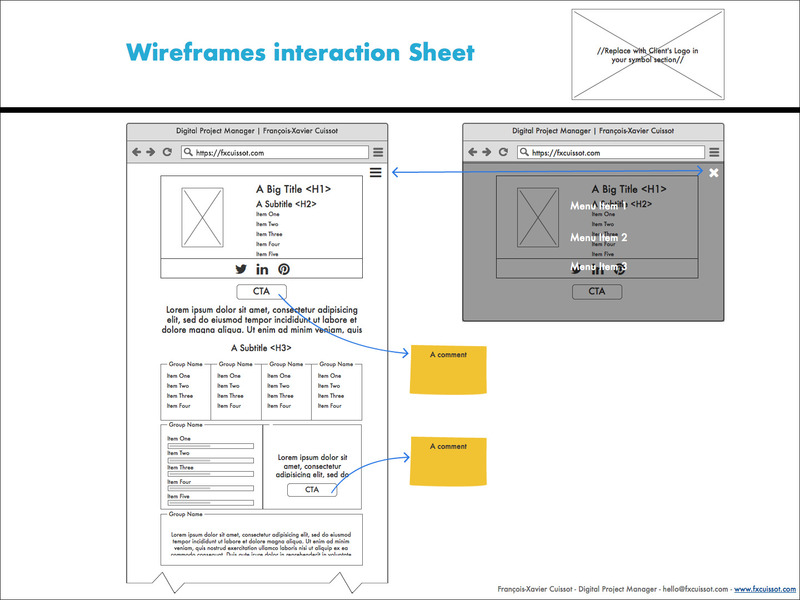 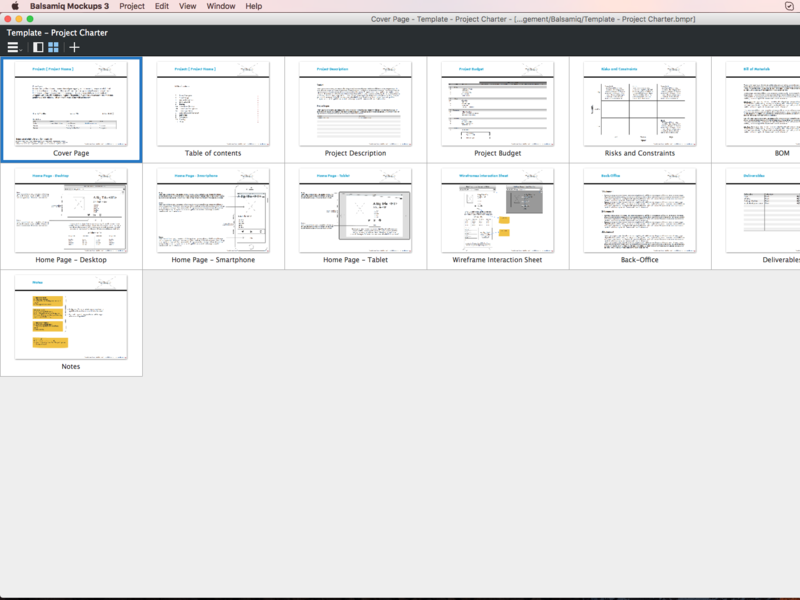 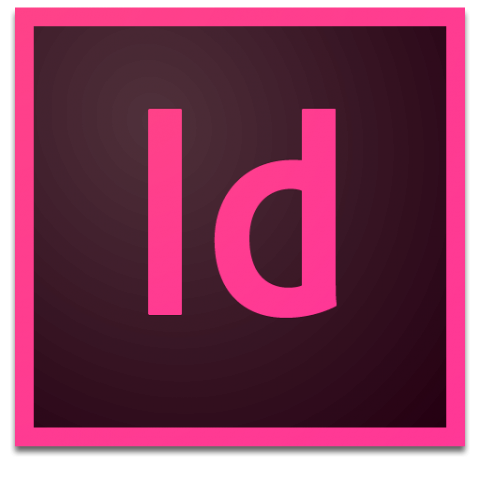 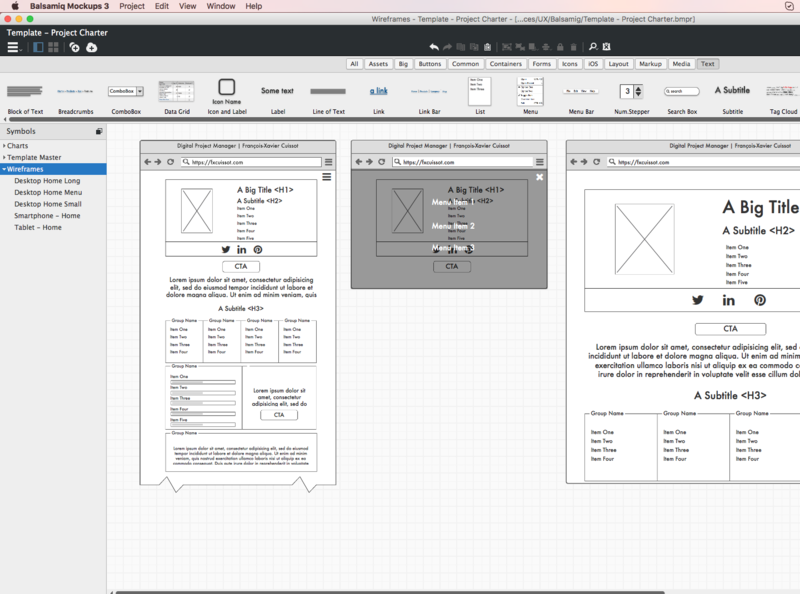 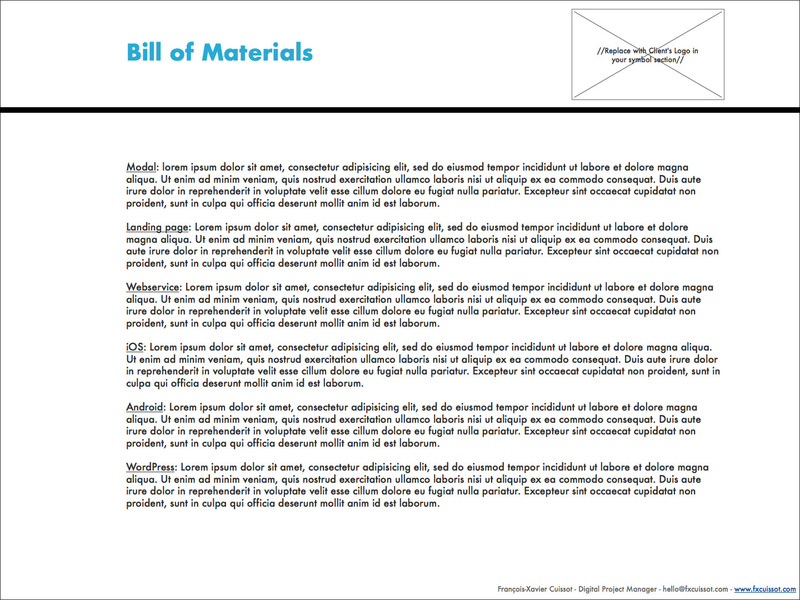 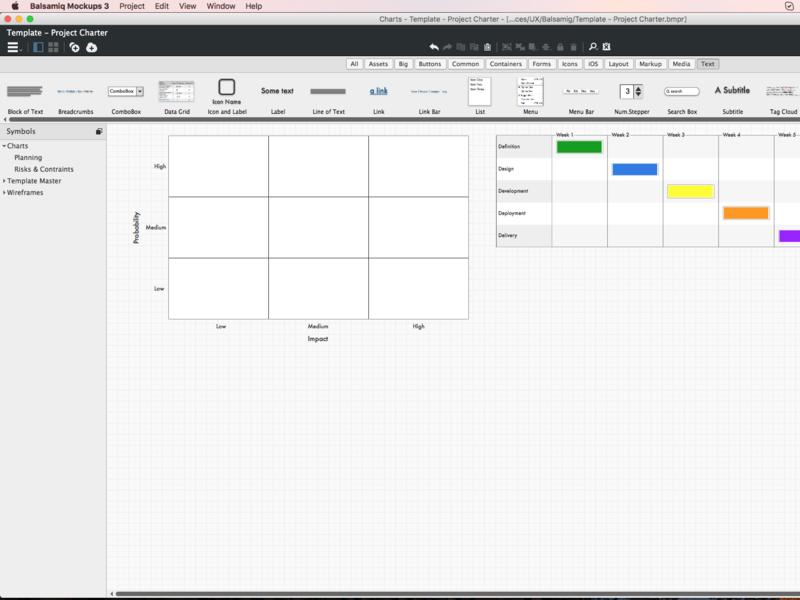 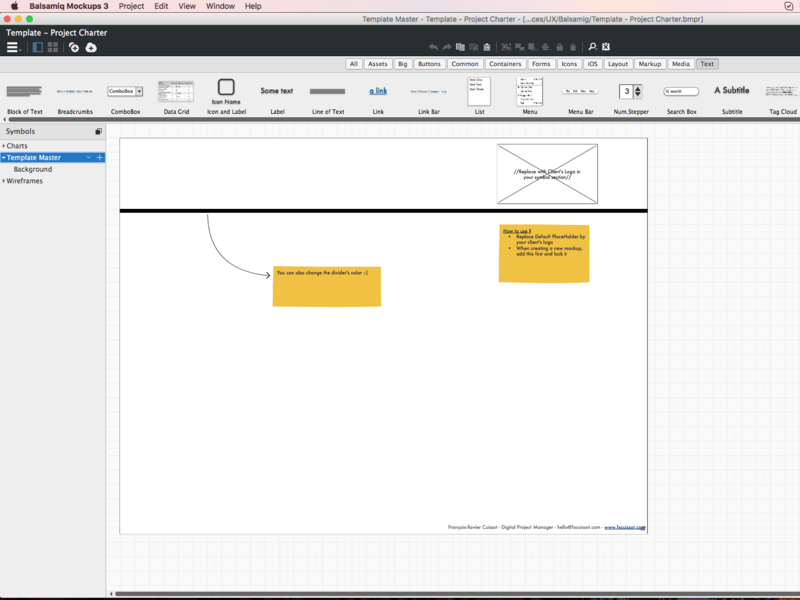 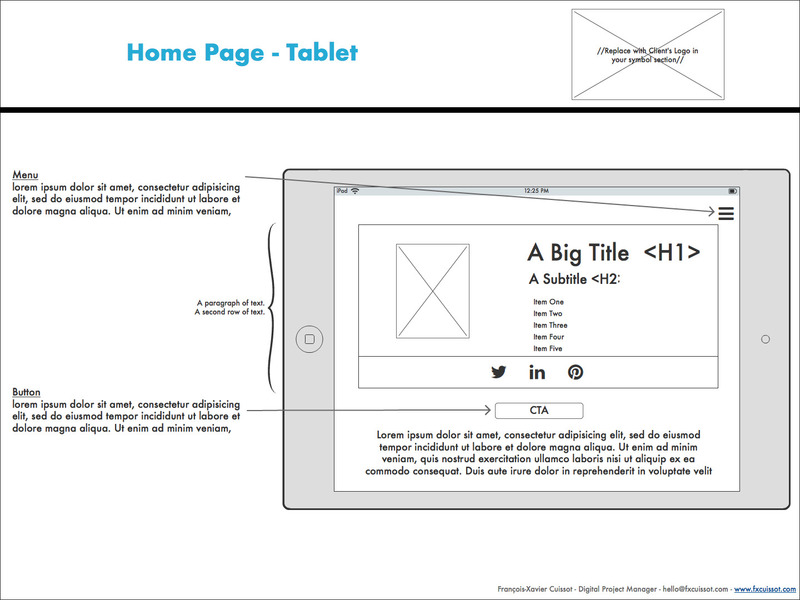 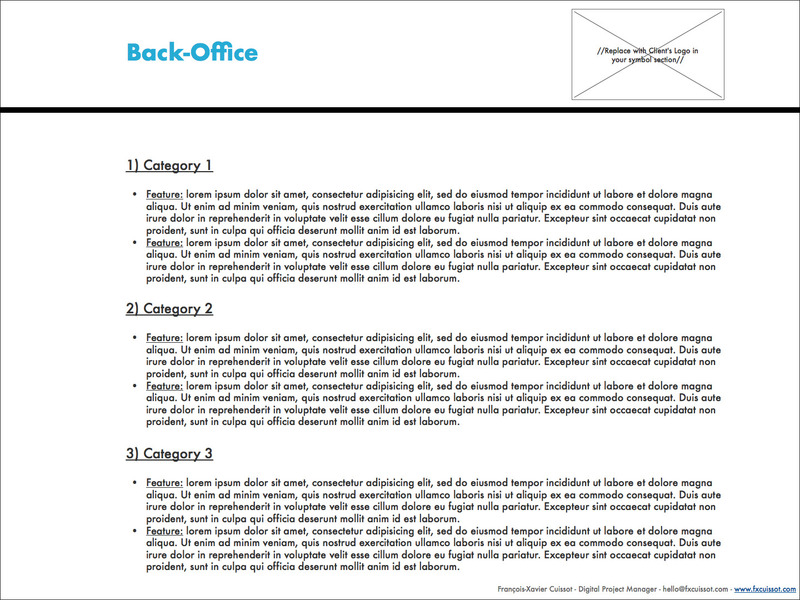 Are you tired of exporting and resizing your wireframes into a powerpoint ? 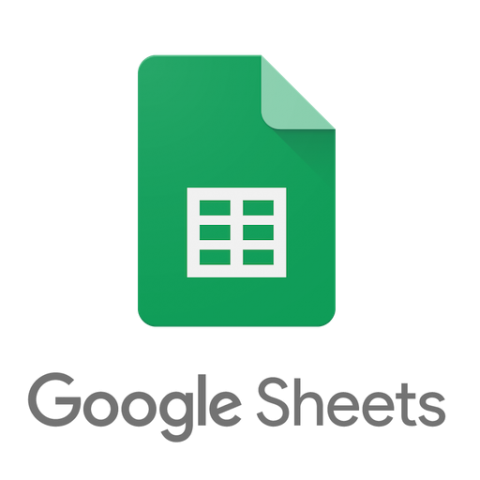 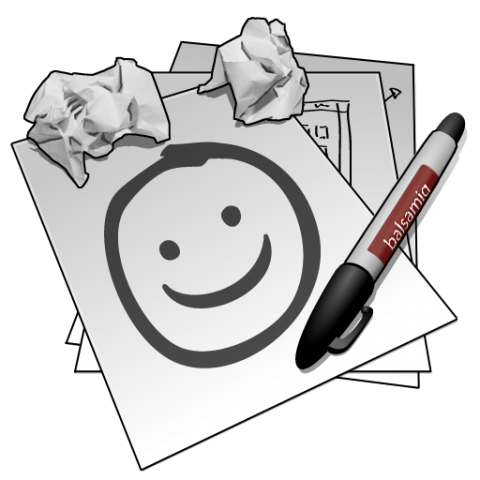 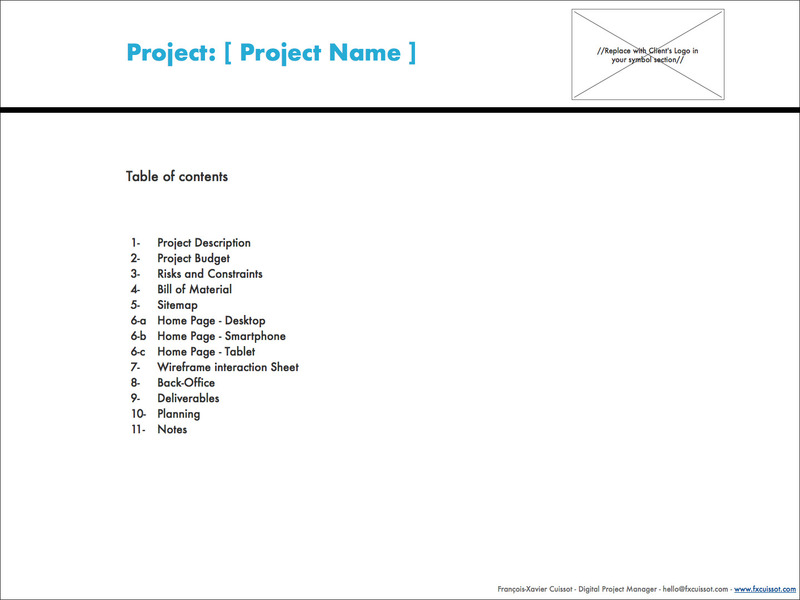 As a Digital Project Manager you juggle all day long from Excel to Balsamiq, from PowerPoint to Indesign, from Mails to Word,… It’s quitte hard to compile all the relevant informations you’ve collected into a single document to define your project charter. 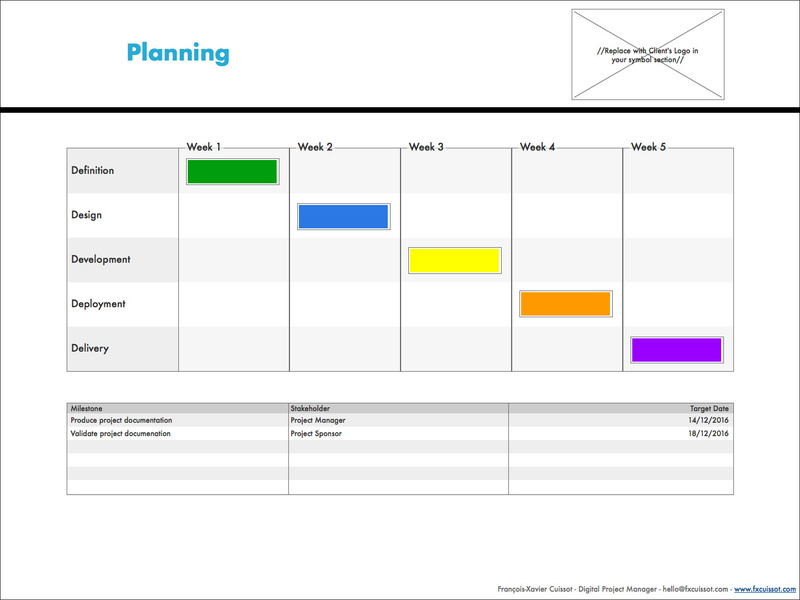 Balsamiq mockup is great and flexible solution for showing all your project’s datas at the early stage (Initialization – Planning) and can be fully integrated into Jira as a collaborative tool. 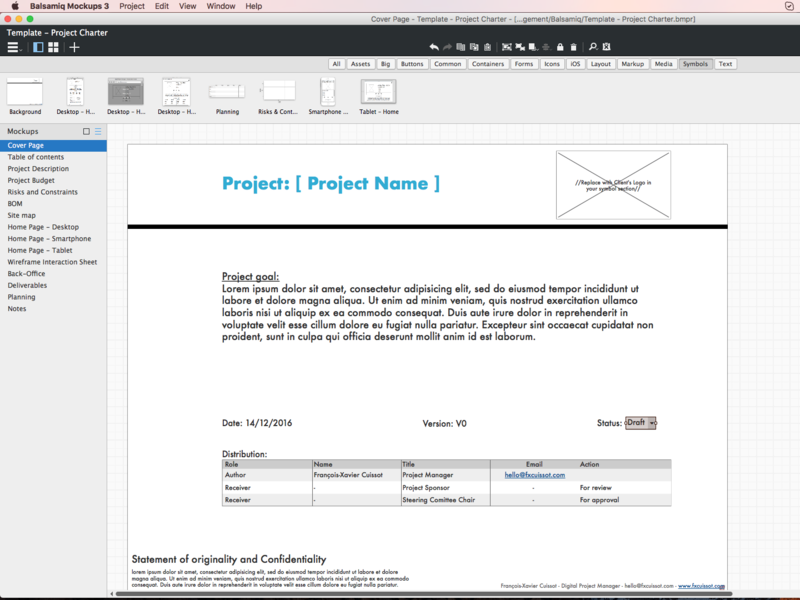 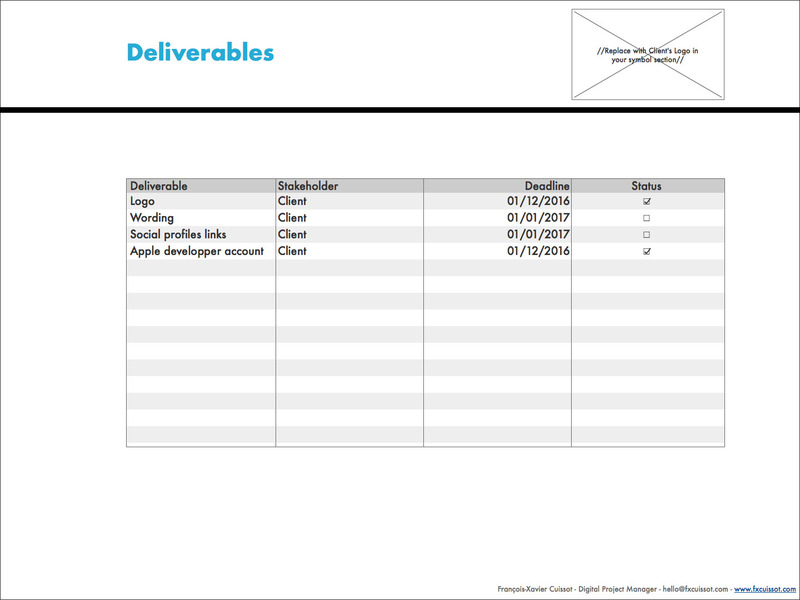 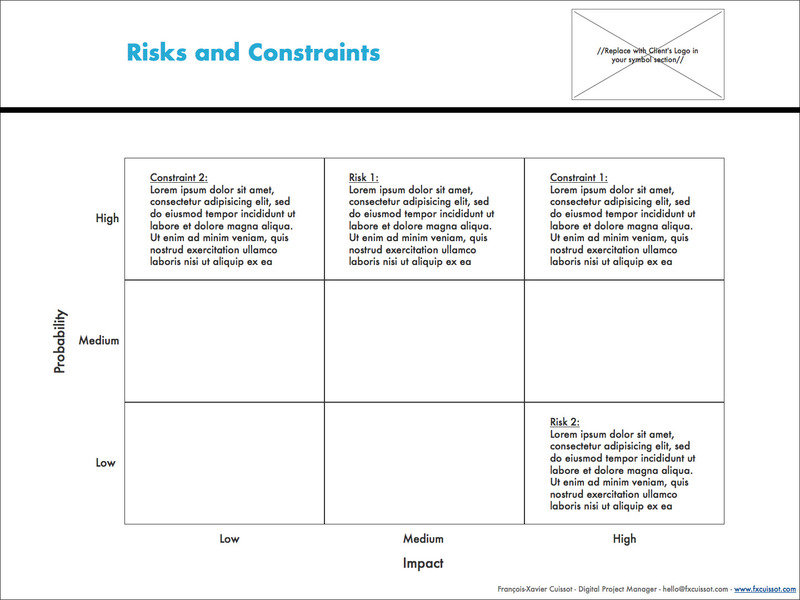 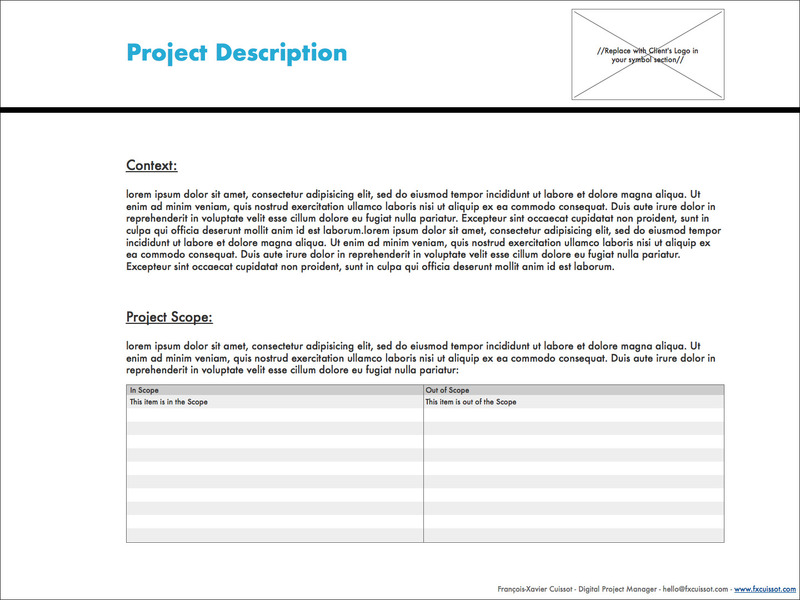 This template will allow you to show your project charter in a more visual and effective way than a classic word or ppt document. 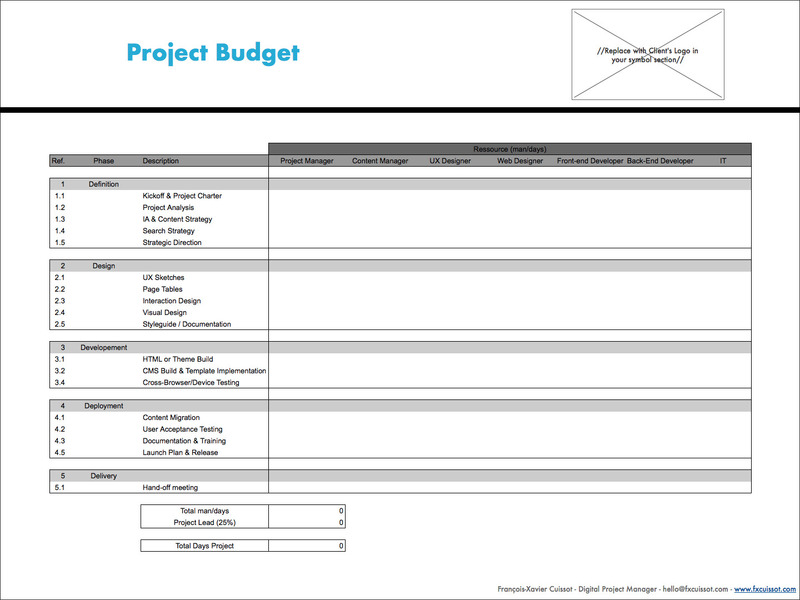 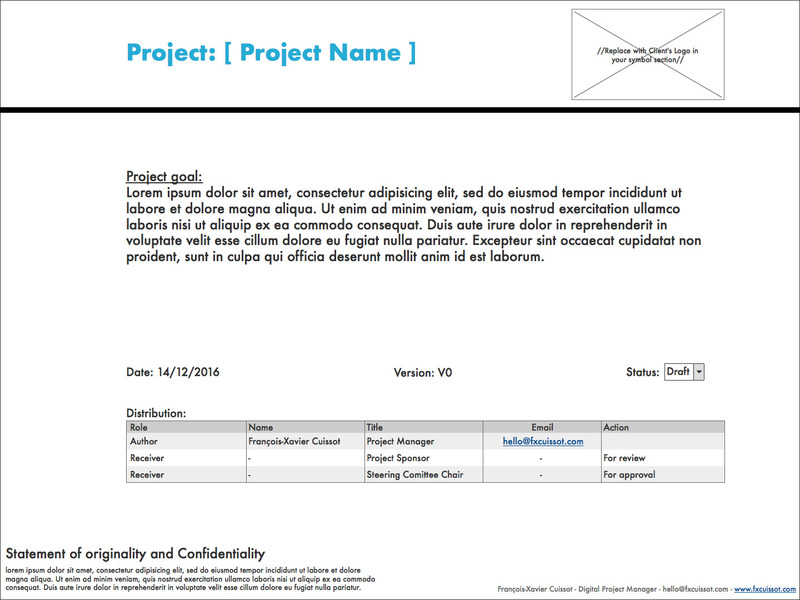 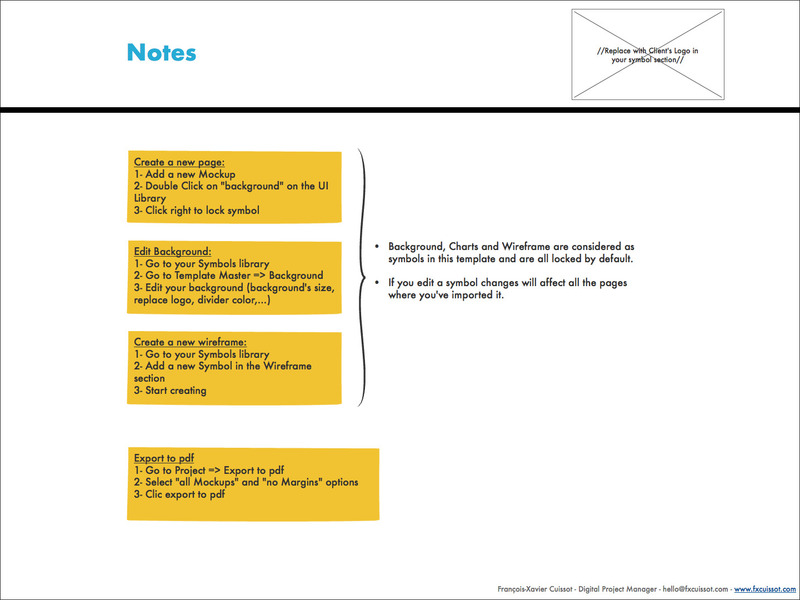 Use this Project Charter Template as you want in order to define your project with Balsamiq 3 and export it to PDF.